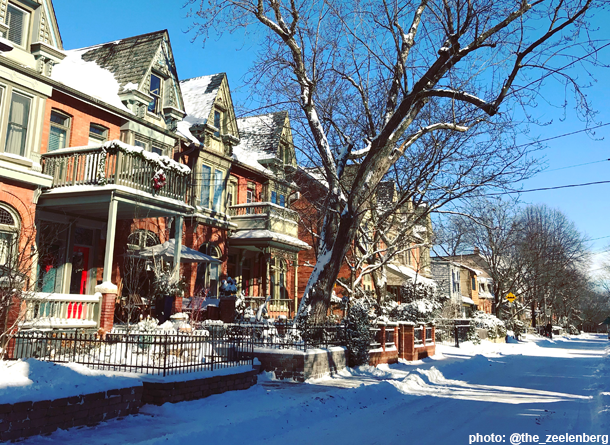 Why Winter is a Good Time to Buy or Sell in Toronto! Ah, winter. When the temperature plummets to -20 (with a windchill 10 degrees colder), moving becomes less of a priority, especially when most people don’t even want to leave the house. January and February are traditionally the slowest times for the real estate market. Add to that the fact that inventory is really low and it makes it hard for buyers and sellers to be motivated. So why would you want to buy in the winter? The number one reason is that there’s less competition. In April and May, there will be scores of people out looking at the same properties that you’re looking at. While there are fewer options on the market right now, it means that you don’t have to rush your decision. Less competition means fewer bidding wars. Many sellers are not setting an offer date; they’re pricing it fairly for the market and letting the market set the price. So while it’s unlikely you’ll score a deal, more often than previous years, properties aren’t being priced low to generate multiple offers. As well, mortgage rates have gone down slightly, so even if you’re looking to make a purchase in the spring it’s a good time to get preapproved for a mortgage – the next rate announcement is in March. If rates go up, you’re still locked in at today’s rate. If rates go down, you can get preapproved at the lower rate! Why would you want to sell in January? Just as with buyers, there’s less competition. A listing that checks all the boxes (right neighbourhood, renovated, etc) can still receive multiple offers in the dead of winter. There are not a great number of really fantastic places on the market right now. The internet doesn’t know what winter is – the vast majority of buyers have already done some searching online. If your home is the only one on your street for sale or one of a select few in a neighbourhood people want to be in, your home will stand out much more. Buyers tend to be motivated in the winter. If they’re going to do their homework, get their paperwork ready and bundle up to go see homes, you know they are ready to buy. You may have fewer showings, but those that visit your home aren’t just kicking tires. The spring market in Toronto tends to start around the end of February these days. If you’re considering making a move, please give me a call at 416 565 0115 and we can start the ball rolling!